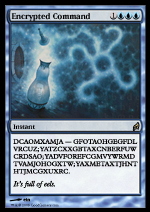 Magic’s flavor text is one of the most important parts of what makes a Magic card what it is. Besides helping to flesh out the fictional worlds of the Multiverse, flavor text can also bring characters to life in memorable ways, or allow the designers of the game to sneak in some humor and whimsy into their grimdark fantasy realms. Is your inner Vorthos ready to take a dip in the sweet sweet waters of Lake Flavor Text? Steel yourself, then scroll down to test your might! The streets of Bismont, Tinnessee are quiet these days, but it wasn’t always like that. This small town, nestled in the shadow of the great furnace, was once a thriving mining community. Channel Fireball has announced changes to their tournament system and floor rules after last week’s disastrous announcement. Read about them here! Celebrate Thanksgiving this year with these life-like Treasure tokens. Cranberry sauce not included. Jace is back – and this time he’s brought friends! This card looks like it’s a lot of fun! Pirates and Dinosaurs? Why not both at the same time? 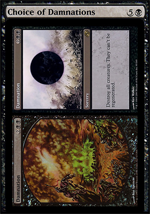 View our exclusive RIX spoiler! ORLANDO, FL — Early this morning, photos of an uncut sheet of Rivals of Ixalan were leaked on imgur.